Thanks to mrrad01 my new IBM JX arrived! And it's in prestine condition and works perfectly, but it's completely missing it's floppy drive module. Seems it was purchased with 0 drives, and as a result, IBM didn't fit the module - just a big blanking plate covering both bays at the front. 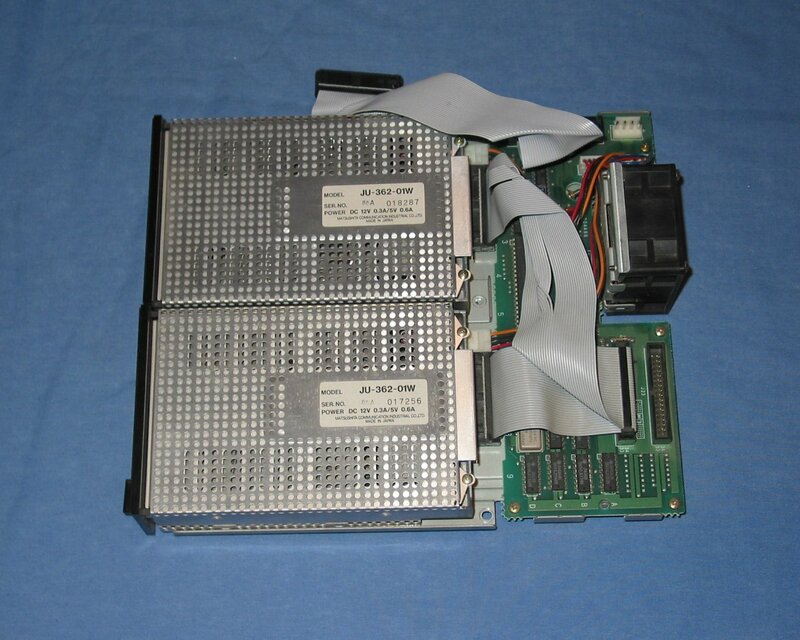 The module contains the floppy controller, fan, and mount points for the drives (and hopefully one or two 3.5" floppy disk drives). Really hoping someone here has a dead JX they aren't planning to fix up or similar. Happy to pay respectable money for it. Even just the FDC PCB would be a big help to start with (that'd let me use an external 5.25 at least). Purchased with 0 drives? How was it suppose to work? I wonder if an aftermarket drive was going to be fitted? tezza wrote: Purchased with 0 drives? How was it suppose to work? I wonder if an aftermarket drive was going to be fitted? Home users don't need disk - they'll do just fine with glorious audio tapes! You're actually correct. It came with a few BASIC books targeted at the IBM PC. I wouldn't have considered this a wise purchase - other than a bit of a CPU performance boost - a much much cheaper C64 would've done just as well. From the documentation and books which came with it, you can somewhat piece a story together of how the machine came to be. I'm fairly confident he started with a base model, intending to upgrade later but was deterred by pricing (on the list, you can see the word "jesus" written in pen). Documentation indicates he replaced it with an IBM Model 30 later. I'll put together a thread shortly about the machine, have heaps of photos to go with it - including a 1986 IBM JX price list in NZD.